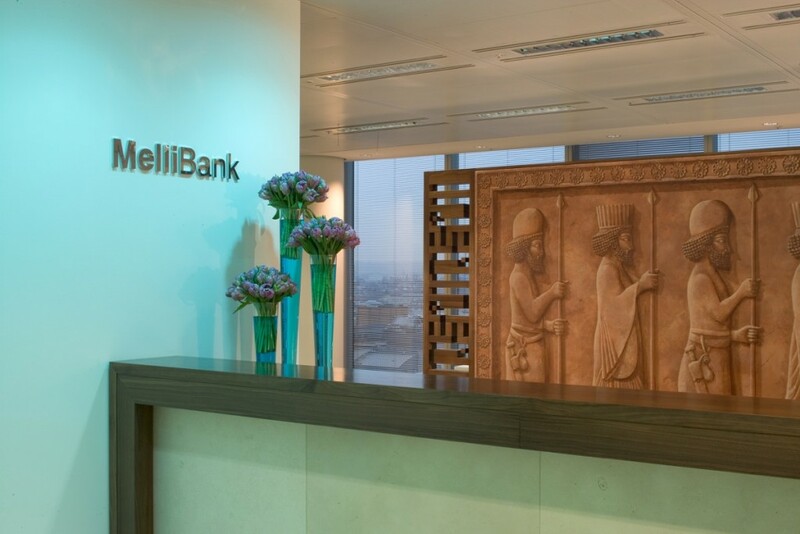 Melli Bank - James Johnson & Co Ltd. 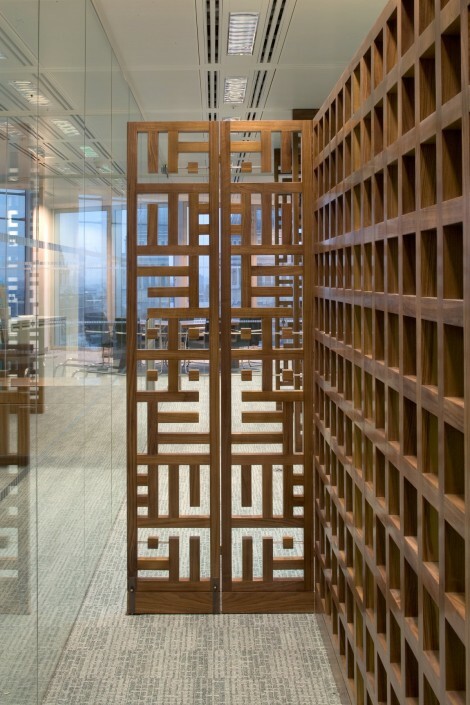 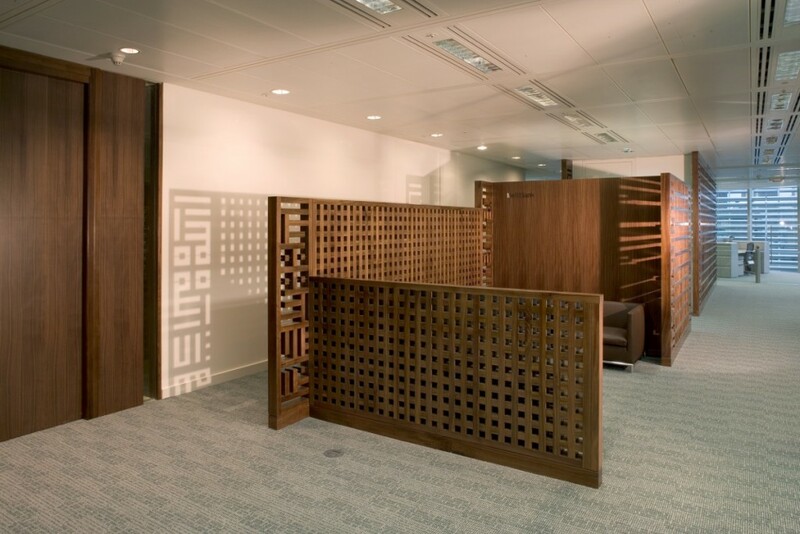 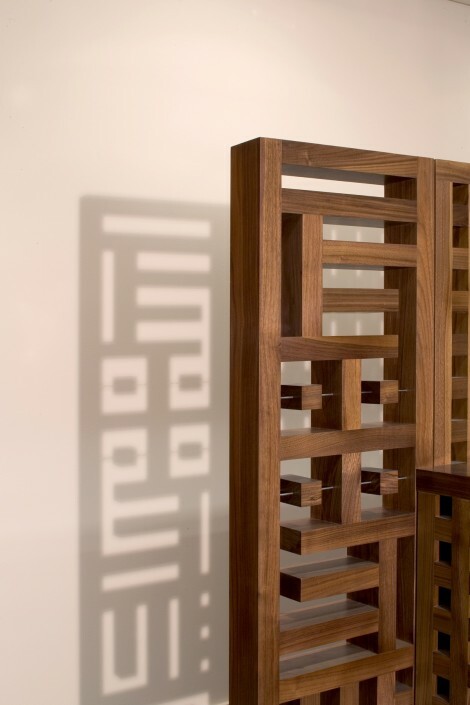 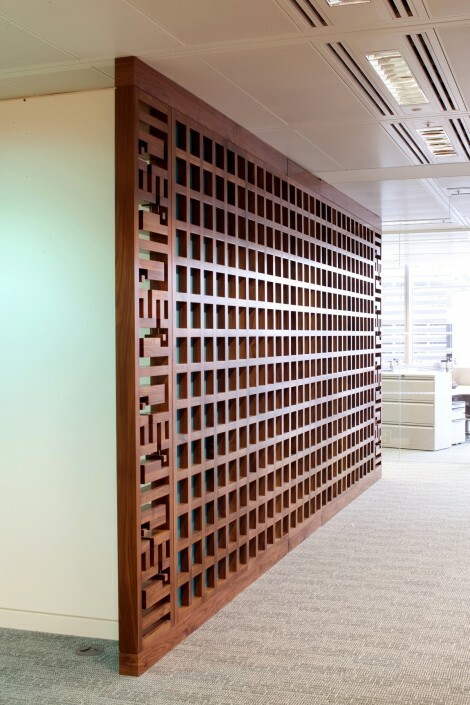 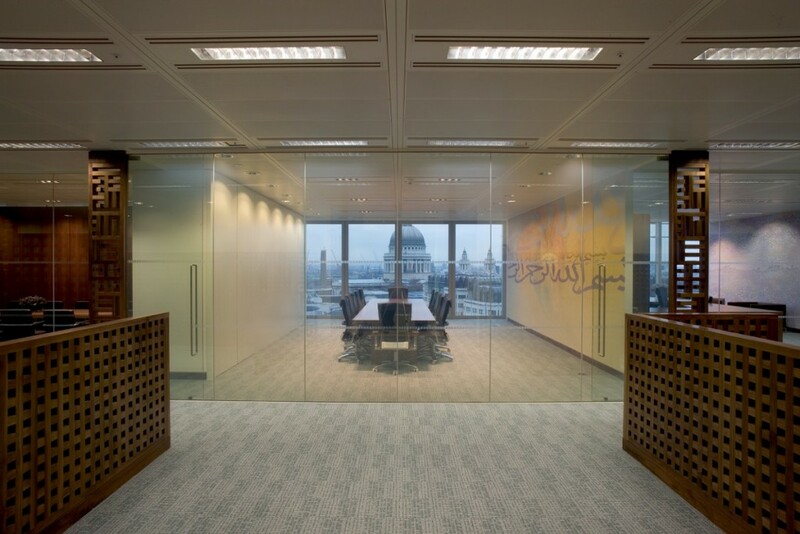 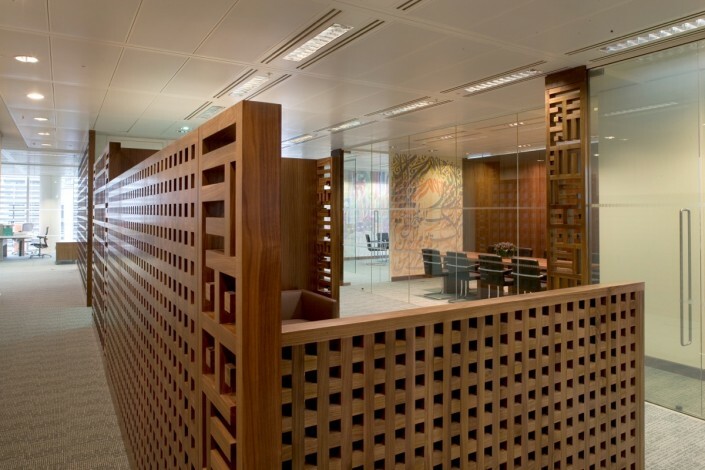 Through careful consultation with the client and architect the words “Allah” and “Melli” have been incorporated into the intricate pattern of solid Walnut screens. 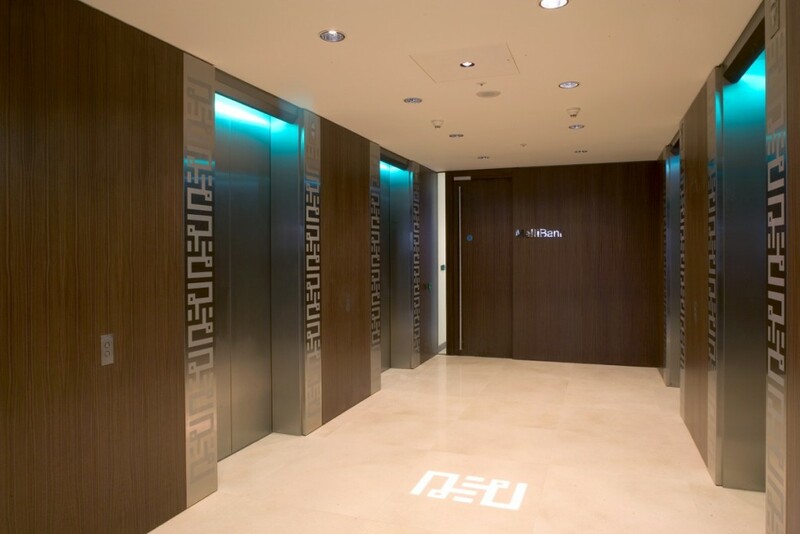 This pattern has also been acid etched into the stainless steel lift panelling giving the client a very personal and individual environment. 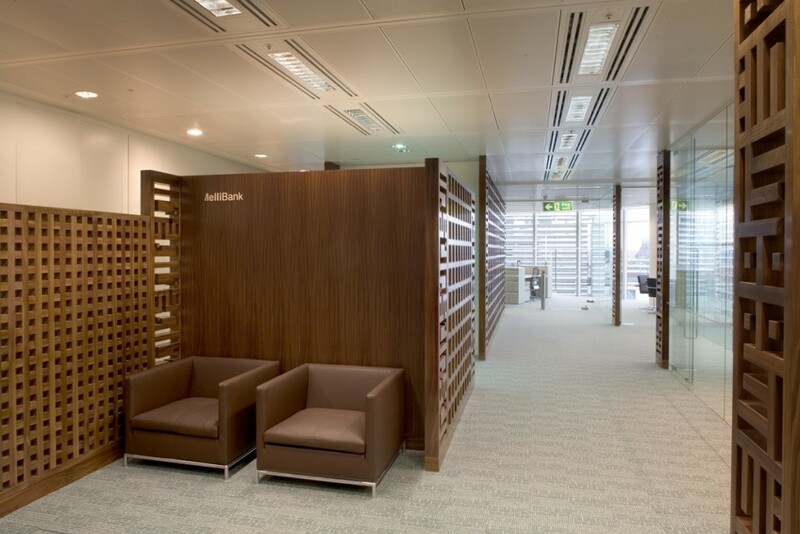 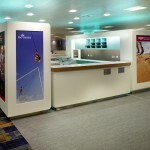 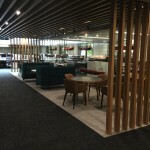 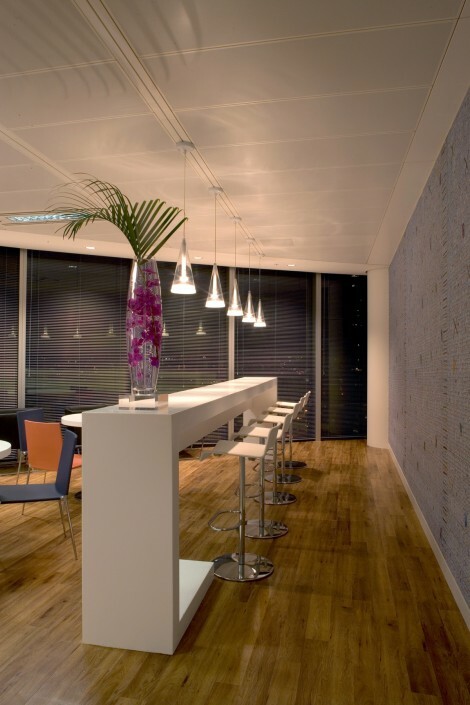 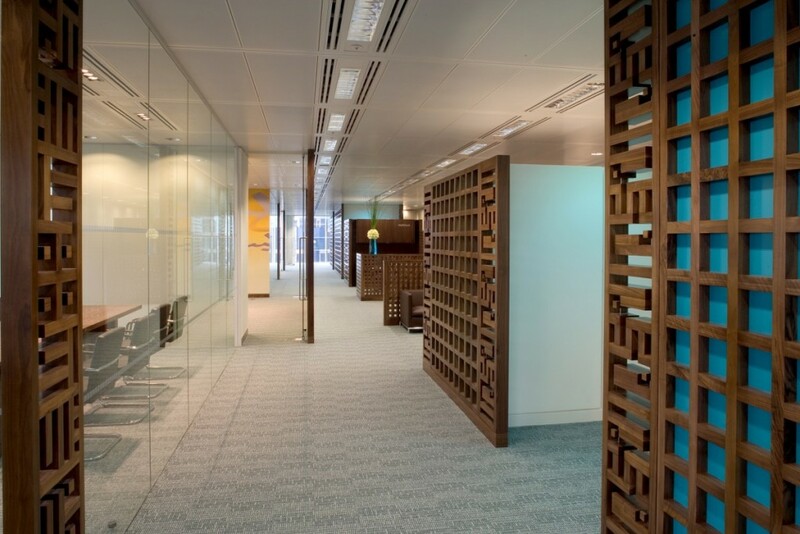 The works consisted of partitions, lift lobby panelling, walnut screens, doors and frames, stainless steel panelling, kitchen and tea points, corian benches, reception desks.